Despite a downpour that closed the outdoor Snow Kingdom at the Jack Frost Winterfest on Saturday, organizers say attendance doesn't seem to have been affected. 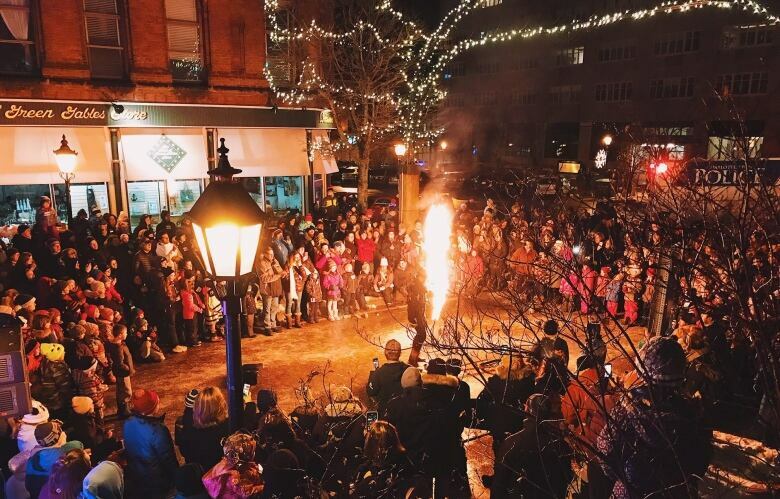 Organizers of the annual Jack Frost Winterfest in Charlottetown say Saturday's downpour may have cancelled some activities, but it didn't dampened attendance. 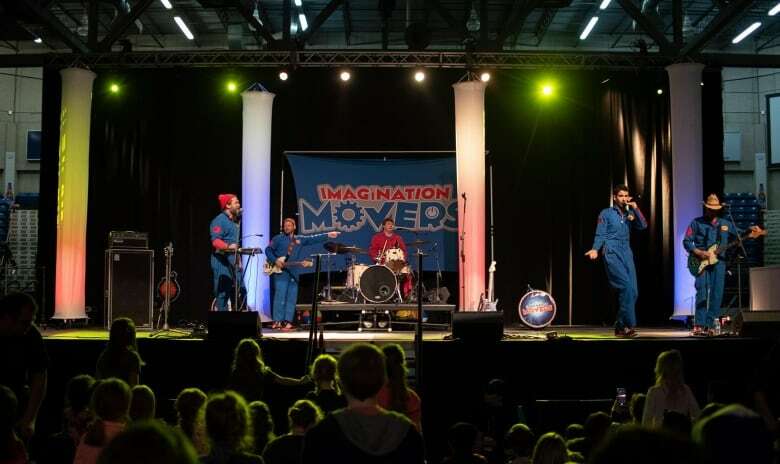 The number of festivalgoers is on par with previous years, and organizers chalk it up to the fact most people still took part in the event's indoor activities. "In terms of attendance, it hasn't really impacted to be honest," said Wayne Long, the events development officer with the City of Charlottetown. "Tickets sales up until yesterday have been tracking ahead of previous years." About 7,500 people typically attend, Long said. He anticipates the same number will attend this year once numbers are tallied at the end of Monday. 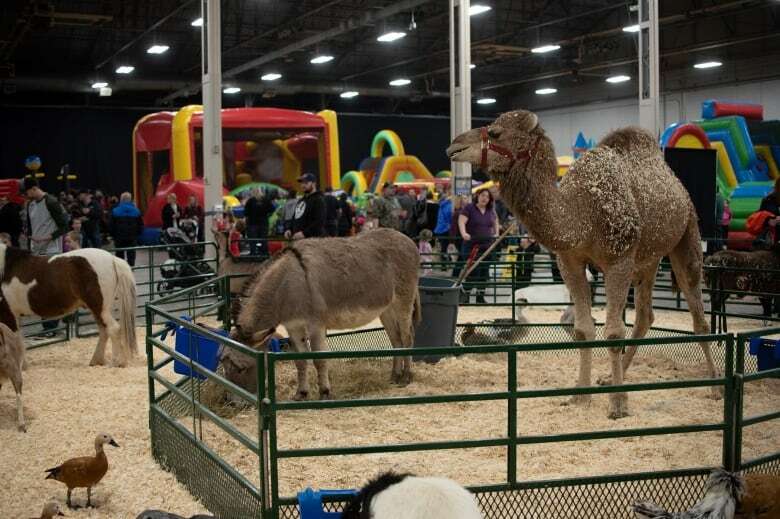 Ticket-holders braved the wet weather to enjoy the indoor activities at the Eastlink Centre Saturday, he said, which was at "full capacity the entire day." 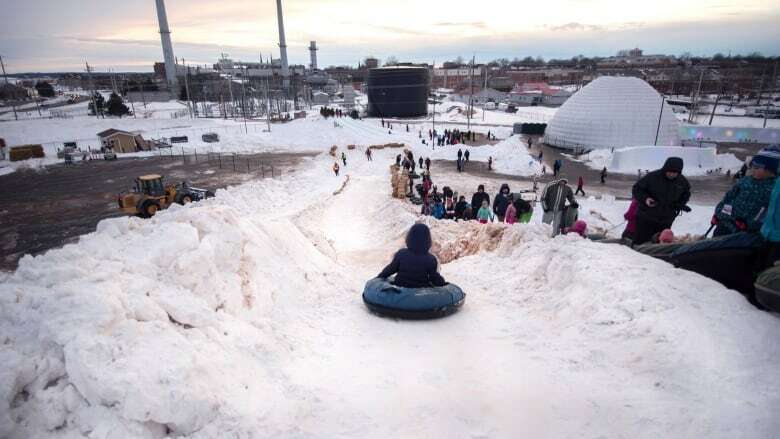 When the snow kingdom reopened Sunday it was "jam-packed," Long said. With promotions for Islanders Monday, Long said he's expecting even bigger crowds. If you are a P.E.I. resident, admission to the snow kingdom is just five dollars on Monday. People must show proof that they live on P.E.I. The first 1,000 residents of Charlottetown who show proof of where they live get in for free — that promotion is courtesy of the City of Charlottetown. "There's always been talk about Islander Day, why not keep the snow kingdom open and accessible? There's been lots of thought put in around that," said Long. A day pass for the snow kingdom is regularly $15 per day per person. "It's a beautiful day outside — what better day to get together as a family on an Islander Day holiday and come out and celebrate the best of winter?" Long said. There is no capacity limit at the outdoor site, Long said, but there could be long lineups for some attractions if turnout is high. "There are enough different options on the site and the site is really spread out for that very reason, in order to move crowds around," Long said.